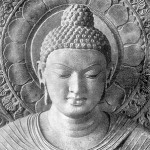 One of the three marks of human existence according to Buddhist thought is impermanence (anicca in Pali). The idea that all things are impermanent and pass away can easily lead us to feel vulnerable and fearful, but it can also help us to be deeply grateful for all the goodness and beauty we have in our life right now. Some aspects of life may not be what we would prefer, but Thich Nhat Hanh reminds us that there is always sufficient reason for us to experience happiness in the moment – beginning with the wonder of our breath – we can breathe in calm, joy, happiness. We can practice being grateful for our breath, even when many other aspects of life are quite difficult. There have been a number studies that document many benefits of practicing gratitude. Neuroscience tells us that our brain has a built-in negativity bias (in Rick Hanson, 2011) – preparing for bad times and threatening situations provides a survival advantage. For the same reason we tend to remember painful experiences more than pleasant ones. Achieving more of a balance in how we view our day-to-day and moment-to-moment experience can have many benefits. For example, at the physical level scientists report stronger immune systems, lower blood pressure, and better sleep for people who regularly engage in gratitude practice. At the psychological level, people report experiencing more positive emotions such as joy and pleasure, and being more optimistic and happy. Gratefulness also contributes to being more outgoing, forgiving, helpful to others, generous and compassionate. And, not to worry, you won’t lose your attentive edge if you take on a more grateful way of viewing the world. And it does not mean that you give up noticing or responding to difficulties or loses in your life, or injustice in the world. Think of it as an experiential middle path, or middle way in the Buddhist tradition. A related benefit was observed in the realm of personal goal attainment: Participants who kept gratitude lists were more likely to report higher levels of alertness, and determination, and have made progress toward important personal goals (academic, interpersonal and health-based). A 2005 study led by Martin Seligman, founder of the Positive Psychology Center at the University of Pennsylvania, found that completing a gratitude exercise every day for one week led to increases in happiness that persisted for six months. First, it must include an affirmation of goodness, that there are good thing in the world, gifts and benefits we’ve received, something outside ourselves. Second, it must include identifying the source of this goodness, where it comes from. For example, if I affirm I am grateful for the fresh ear of summer corn I am having for dinner, I need to consider and think about all the people it took to put that ear in my hands: the seed producer, the farmer who planted and grew it, the folks who made the combine harvester, the trucker who brought it to the store. We can think even more deeply and appreciate the soil, sun and water without which the corn could not have grown. This simple practice is effective because it not only helps you remember and appreciate good things that happened in the past; it can also teach you to notice and savor positive events as they happen in the moment, and remember them more vividly later on. By reflecting on the sources of these good things, the idea is that you start to see a broader ecosystem of goodness around you rather than assuming that the universe is conspiring against you. Commit to spending 5 to 10 minutes, preferably at the beginning or the end of each day writing about, or at last noting with some detail, three things that went well that day, or that you are grateful to have in your life, large or small. They may be people, events, experiences of nature or ourselves. If you chose something that you accomplished, focus on what contributed to that accomplishment outside of yourself. In your writing describe why you think these things happened or are available to you, what the source of the choice is for your feeling of gratitude. What are some of the causes or conditions that brought this source of gratefulness to mind, into your life? Allow yourself to feel good about each entry in your journal, let it affect you, breathe into it. Contemplate, or bring into your meditation practice the question: Can I see how impermanent are the causes and conditions that brought that source of gratefulness into my life? Can releasing attachment to these three things bring a degree of freedom to me and increase my feeling of gratitude for this precious human life? This entry was posted in Home and tagged discussion, grattitude. Bookmark the permalink.